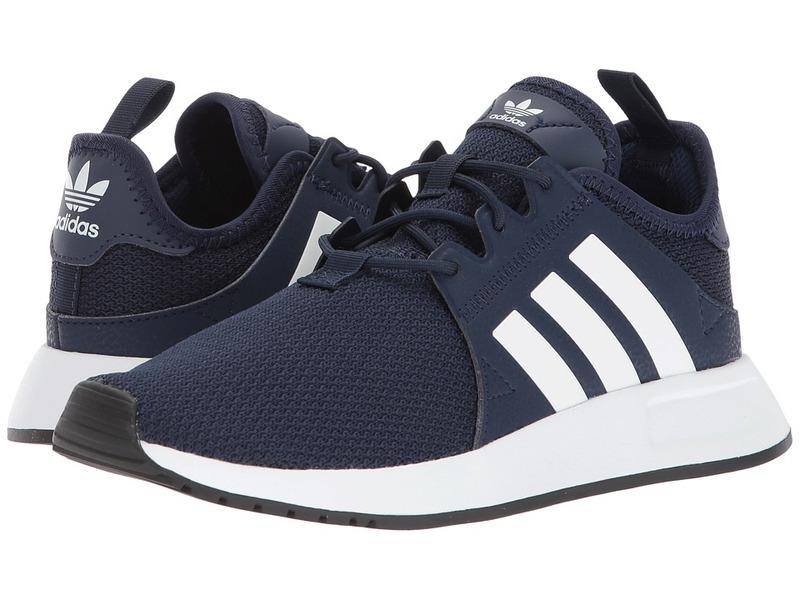 Score a vintage vibe with modern comfort with the adidas Originals FLB (Flashback). Features a closed mesh upper and microfiber heel with an aquatech toe overlay. Adjustable lace-up closure with reflective laces for added visibility in low light. Classic TPU printed 3-Stripes at sides. Soft and breathable mesh linings. Soft foam footbed for added comfort. EVA midsole provides lightweight cushioning. Durable rubber outsole. Imported. Measurements: Weight: 9 oz Product measurements were taken using size 7, width B - Medium. Please note that measurements may vary by size. Weight of footwear is based on a single item, not a pair. Don~t let up on the pace even if it starts raining with the weather-resistant Alphabounce EM Coated running shoes from adidas. 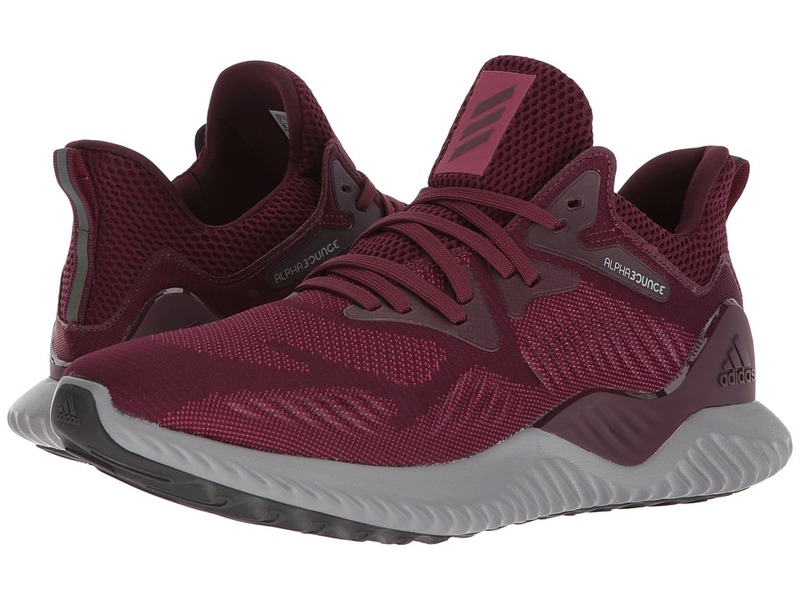 Predecessor: Alphabounce. Support Type: Neutral to underpronation (supination). Cushioning: Lightweight, flexible response. Surface: Road. Differential: 10mm. Engineered mesh upper provides lightweight, breathable, second-skin comfort and support. Coating on upper provides resistance to harsh weather conditions. Lace-up closure. Front and rear pull tabs. Bootie construction offers a sock-like fit for optimal comfort. Contoured, lightly padded tongue and collar. Smooth textile lining. Lightly padded textile footbed. bounce energy-returning technology promotes light, fast rebound with each stride. Grippy rubber outsole. Imported. Measurements: Weight: 15 oz Product measurements were taken using size 12, width D - Medium. Please note that measurements may vary by size. Weight of footwear is based on a single item, not a pair. 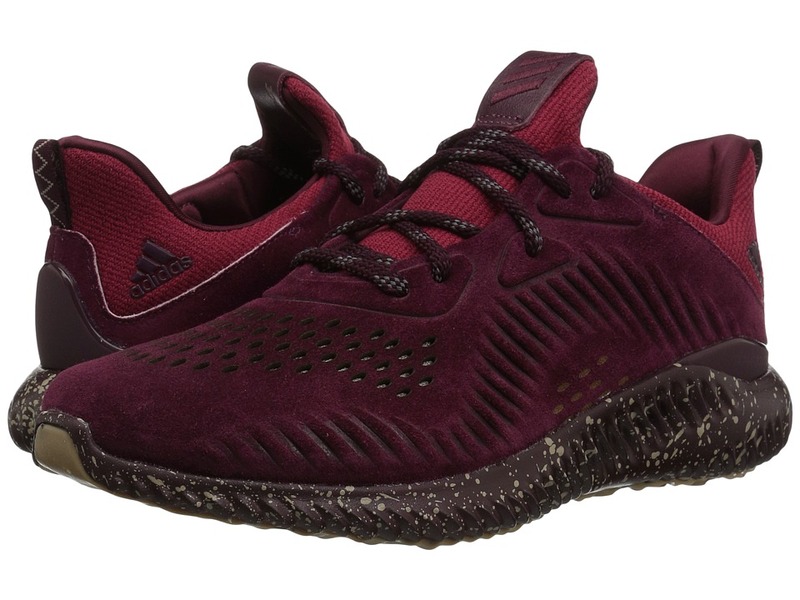 Train for your next event or look superb walking down the sidewalk with the Alphabounce Sushi Suede running shoe! Predecessor: None. Support Type: Neutral to underpronation (supination). Cushioning: Lightweight, flexible response. Surface: Road. Differential: 10mm. 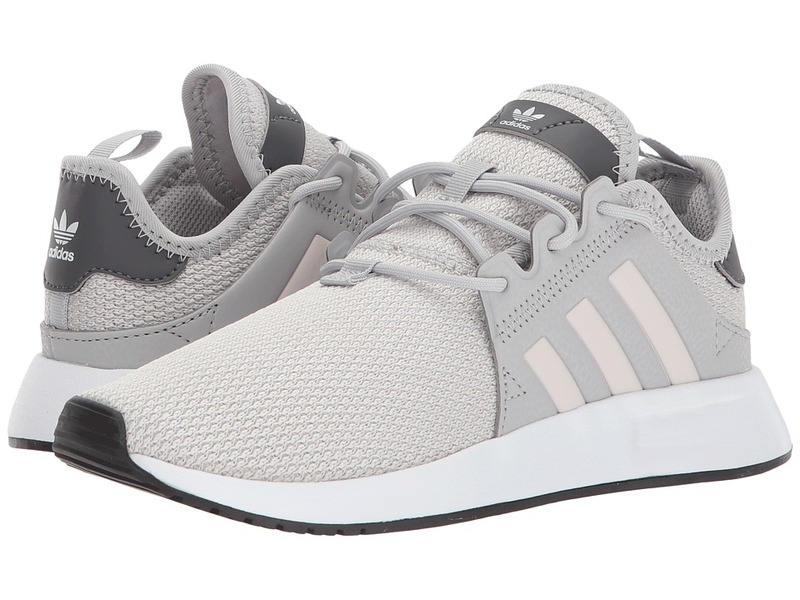 Suede and synthetic upper materials. Lace-up closure. Heel pull loop. Bootie construction offers a sock-like fit for optimal comfort. Contoured, lightly padded tongue and collar. Smooth textile lining. Lightly padded textile footbed. bounce energy-returning technology promotes light, fast rebound with each stride. Grippy rubber outsole. Imported. Measurements: Weight: 14 oz Product measurements were taken using size 9.5, width D - Medium. Please note that measurements may vary by size. Weight of footwear is based on a single item, not a pair. 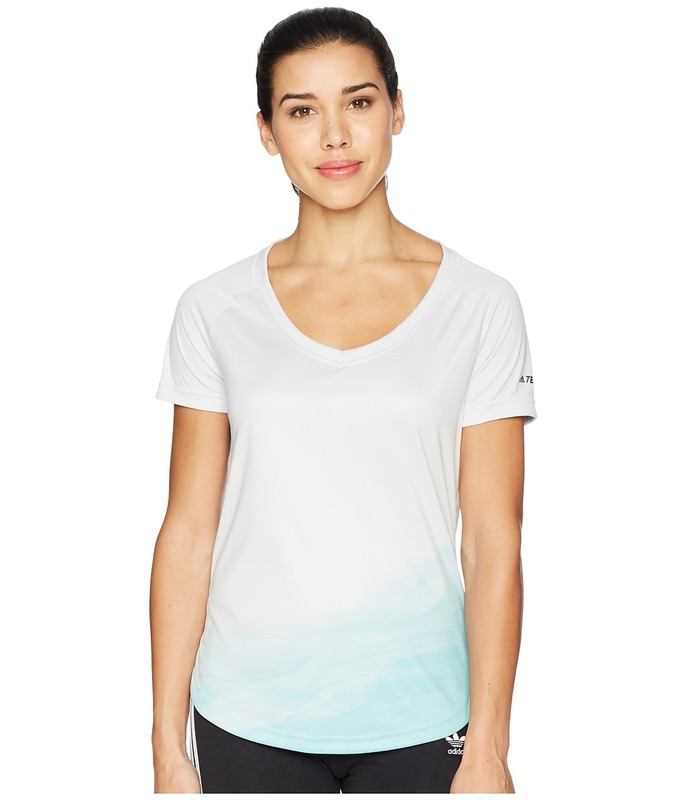 Lace up your running shoes and get outside in the adidas Outdoor Ampli Parley Tee 3. Slim fit hugs the body while still leaving room for movement. Parley Ocean Plastic which is made from recycled waste from the ocean. Scoop neck. Short raglan sleeves. Ombre design throughout. Curved hem. 50 percent recycled polyester. Machine wash, line dry. Imported. Measurements: Length: 26 in Product measurements were taken using size SM (US 4-6). Please note that measurements may vary by size. Keep your running habit alive and well with the foot-hugging Alphabounce 1 from adidas. 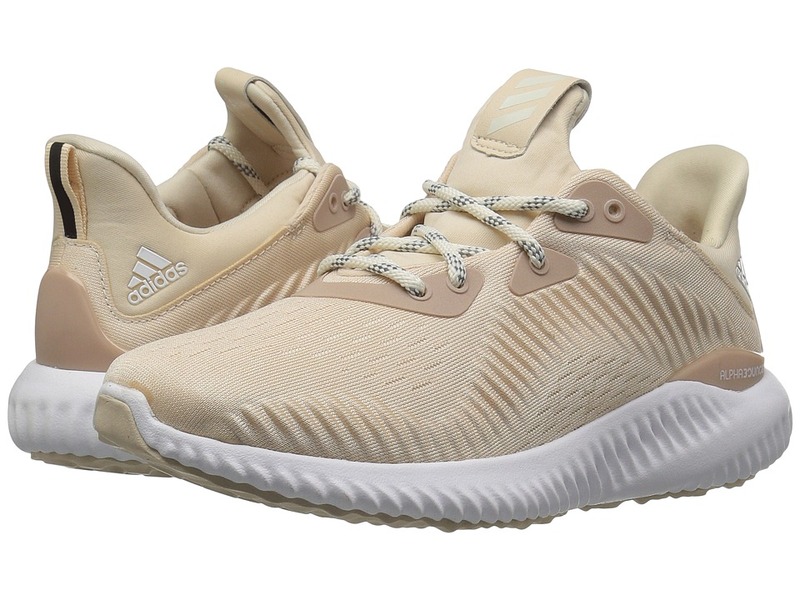 Predecessor: Alphabounce. Support Type: Neutral to underpronation (supination). Cushioning: Lightweight, flexible response. Surface: Road. Differential: Not provided. Forgemesh knit upper. Lace-up closure. Heel pull loop. Bootie construction offers a sock-like fit for optimal comfort. Contoured, lightly padded tongue and collar. Breathable textile linings. Lightly padded textile footbed. bounce energy-returning technology promotes light, fast rebound with each stride. Grippy Adiwear rubber outsole. Imported. Measurements: Weight: 11 oz Product measurements were taken using size 9, width B - Medium. Please note that measurements may vary by size. Weight of footwear is based on a single item, not a pair. 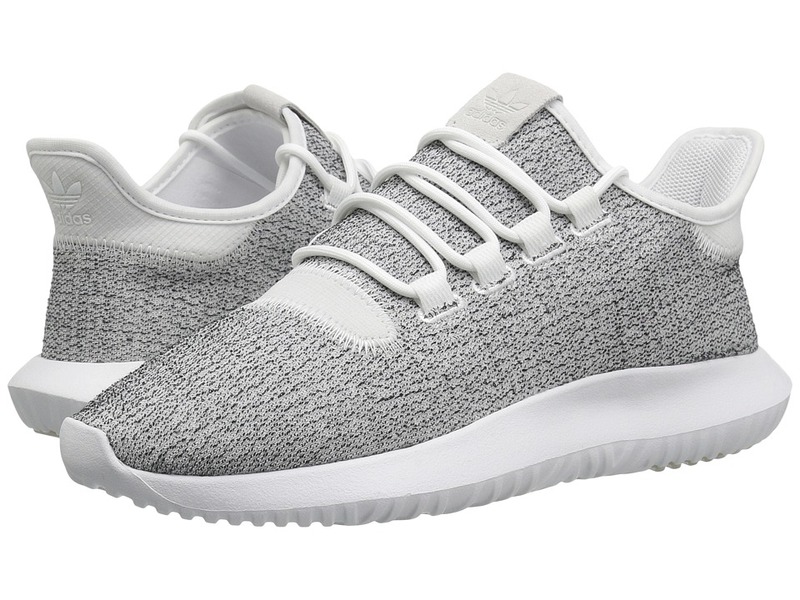 Make a serious upgrade to your street style and comfort with the fresh Tubular Shadow. Features a knit upper with a round toe. Offers a Burrito tongue for a snug and cozy fit. Easy lace-up closure with a high heel tab. Soft and breathable textile linings. Features a breathable and performance enhancing OrthoLite sockliner. Provides a lightweight EVA midsole. Durable rubber outsole. Imported. Measurements: Weight: 11 oz Product measurements were taken using size 13.5, width D - Medium. Please note that measurements may vary by size. Weight of footwear is based on a single item, not a pair. 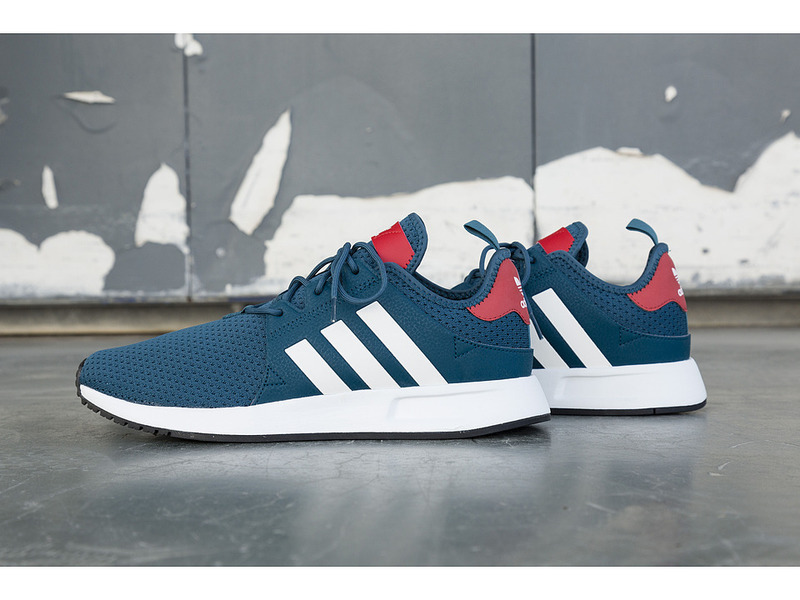 Keep your style cool and clean in the running-inspired X PLR from adidas. Breathable, engineered knit uppers in a sporty low-profile silhouette. Easy speed lacing system with toggle. Comfortable and breathable textile linings. Features reflective 3-Stripes at lateral side. Cooling and breathable antimicrobial OrthoLite sock liner keeps feet dry and odor-free. Lightweight molded EVA midsole provides added cushioning. Rubber outsole. Imported. Measurements: Weight: 10 oz Product measurements were taken using size 9.5, width D - Medium. Please note that measurements may vary by size. Weight of footwear is based on a single item, not a pair. Run like the Supernova you are! adidas Running apparel delivers superior performance with a comfortable finish making it easier to rack up those miles. Slim fit has a modern cut that hugs the body while still leaving room for movement. climalite fabric pulls moisture away from the skin and pushes it towards the outer fabric face for quick-drying comfort. Crew neckline. Short sleeves. Reflective elements provide increased visibility when you run at night. Straight hemline. 100 percent polyester. Machine wash, tumble dry. Imported. Measurements: Length: 28 in Product measurements were taken using size SM. Please note that measurements may vary by size. On your mark, get set, run! adidas Running apparel delivers superior performance with a comfortable finish making it easier to rack up those miles. Regular fit is eased, but not sloppy, and perfect for any activity. climalite fabric pulls moisture away from the skin and pushes it towards the outer fabric face for quick-drying comfort. Elastic waistband with an interior drawstring to easily adjust your fit. Curved cuffs. Iconic three-stripes detail extends from waist to cuffs. 100 percent polyester. Machine wash, tumble dry. Imported. Measurements: Waist Measurement: 29 in Outseam: 10 in Inseam: 4 in Front Rise: 12 in Back Rise: 11 1 2 in Leg Opening: 24 in Product measurements were taken using size SM, inseam 4. Please note that measurements may vary by size. 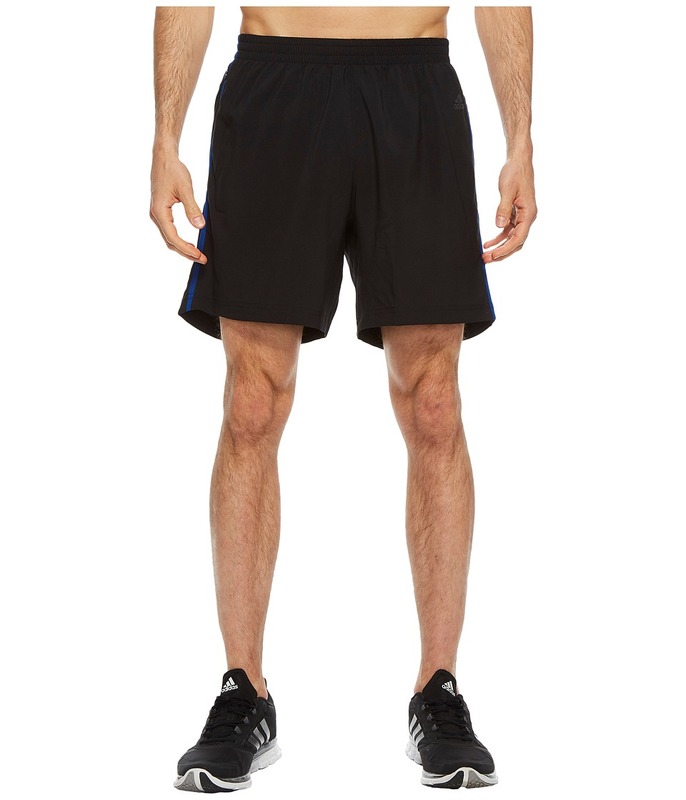 Make all the right moves in this adidas Response 9 Shorts. 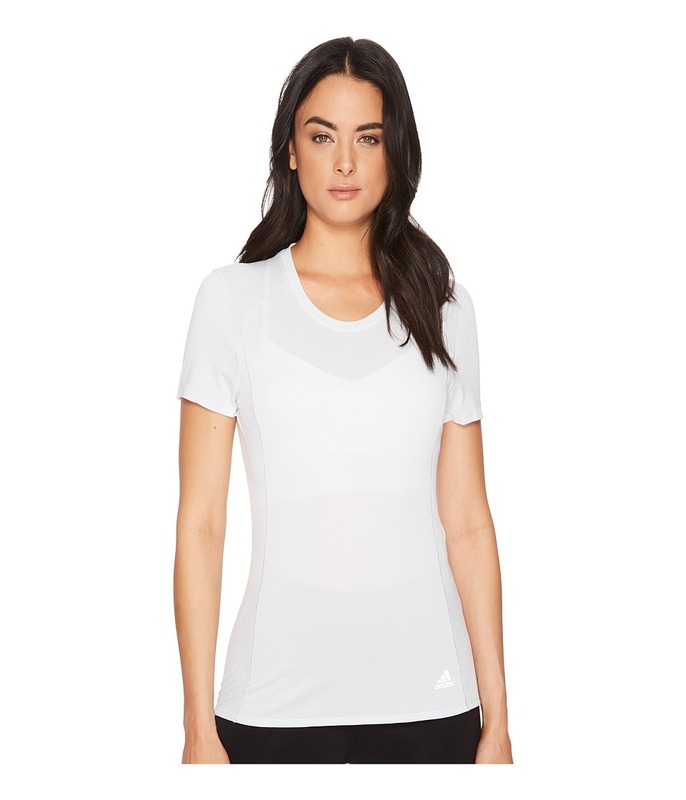 adidas Running apparel delivers superior performance with a comfortable finish making it easier to rack up those miles. Regular fit is eased, but not sloppy, and perfect for any activity. climacool fabric rapidly transports heat and perspiration away from the body. Elastic waistband with an interior drawstring tie to easily adjust your fit. Interior mesh brief keeps things cool and comfy. Hidden zipper pocket at waist keep items safely tucked away. Curved cuffs drops slightly at back. adidas logo and stripes at sides. 100 percent recycled polyester. Lining: 100 percent polyester. Machine wash, tumble dry. Imported. Measurements: Outseam: 20 in Inseam: 9 in Front Rise: 11 in Back Rise: 18 in Leg Opening: 25 in Product measurements were taken using size MD, inseam 9. Please note that measurements may vary by size. 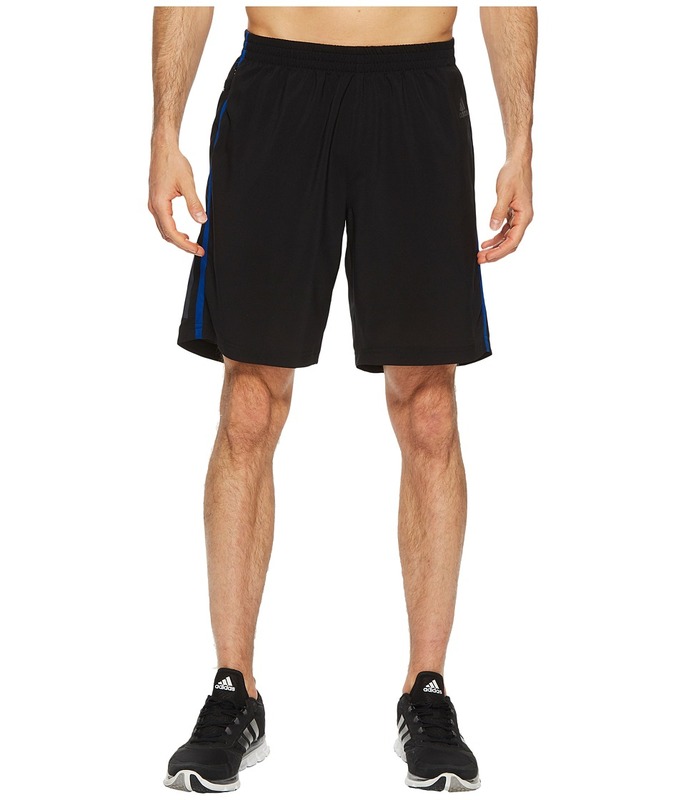 Make all the right moves in this adidas Response 7 Shorts. 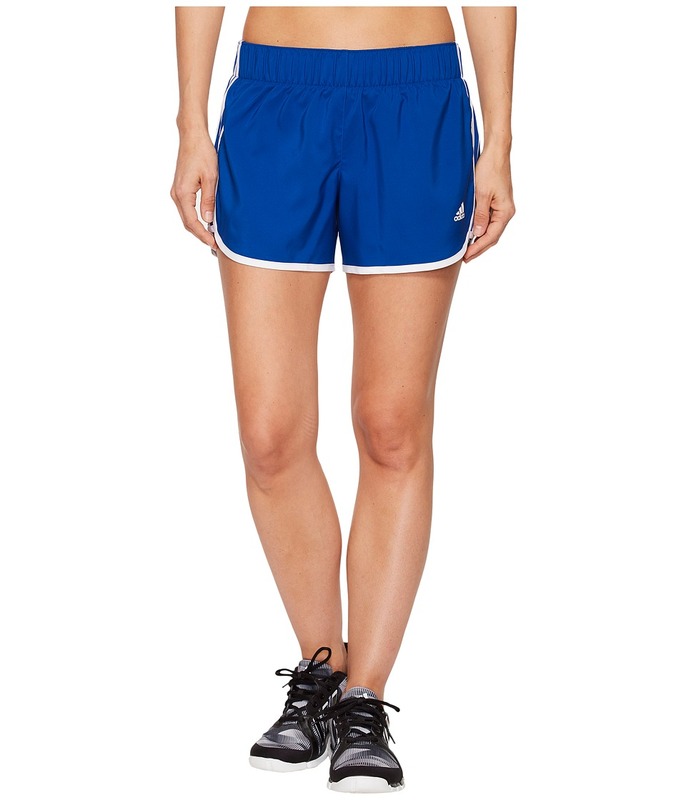 adidas Running apparel delivers superior performance with a comfortable finish making it easier to rack up those miles. Regular fit is eased, but not sloppy, and perfect for any activity. climacool fabric rapidly transports heat and perspiration away from the body. Elastic waistband with an interior drawstring tie to easily adjust your fit. Interior mesh brief keeps things cool and comfy. Hidden zipper pocket at waist keep items safely tucked away. Curved cuffs drops slightly at back. adidas logo and stripes at sides. 100 percent recycled polyester. Lining: 100 percent polyester. Machine wash, tumble dry. Imported. Measurements: Outseam: 17 1 2 in Inseam: 7 in Front Rise: 11 in Back Rise: 17 in Leg Opening: 26 in Product measurements were taken using size MD, inseam 7. Please note that measurements may vary by size. Keep your style cool and clean in the running-inspired X_PLR J from adidas Originals Kids. Breathable circular knit uppers in a sporty low-profile silhouette. Easy speed bungee lacing system. Rounded toe with rubber reinforcement. Comfortable and breathable textile linings. 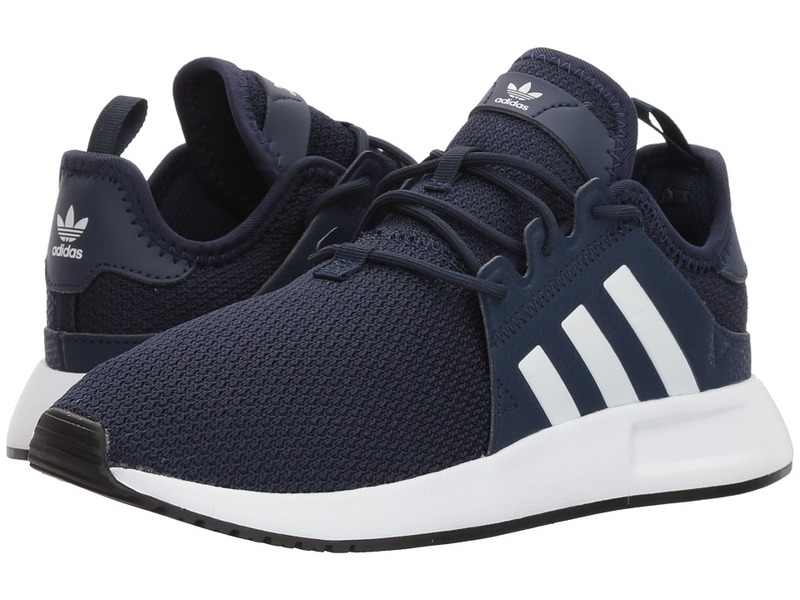 Features reflective 3-Stripes at lateral side. Cooling and breathable antimicrobial OrthoLite sock liner keeps feet dry and odor-free. Lightweight molded EVA midsole provides added cushioning. Rubber outsole. Imported. Measurements: Weight: 8 oz Product measurements were taken using size 4 Big Kid, width M. Please note that measurements may vary by size. 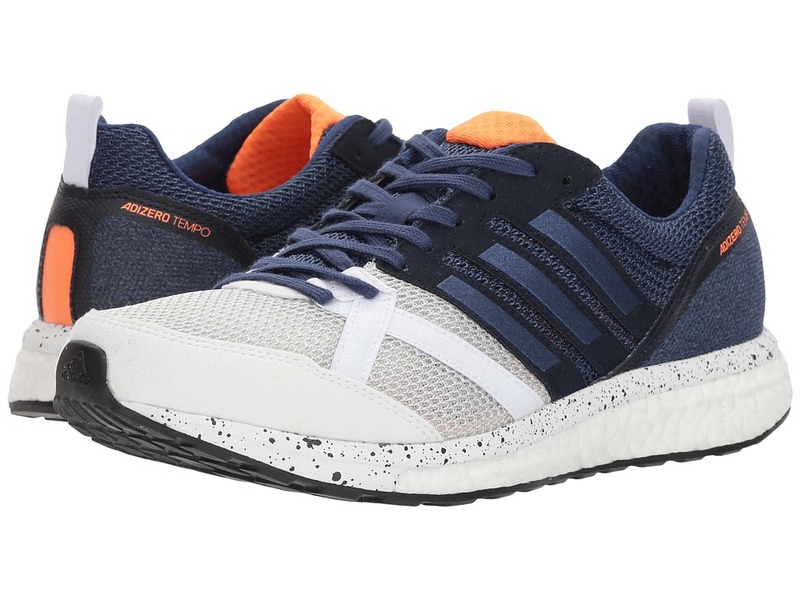 Keep your style cool and clean in the running-inspired X PLR C from adidas Originals Kids. Breathable circular knit uppers in a sporty low-profile silhouette. Easy speed lacing system with toggle. Comfortable and breathable textile linings. 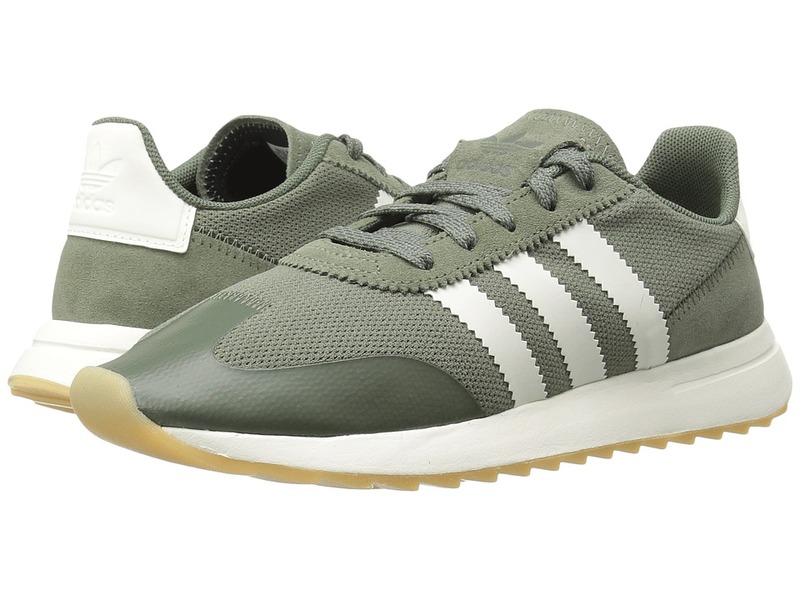 Features reflective 3-Stripes at lateral side. Cooling and breathable antimicrobial OrthoLite sock liner keeps feet dry and odor-free. Lightweight molded EVA midsole provides added cushioning. Rubber outsole. Imported. Measurements: Weight: 7 oz Product measurements were taken using size 3 Little Kid, width M. Please note that measurements may vary by size. Weight of footwear is based on a single item, not a pair. 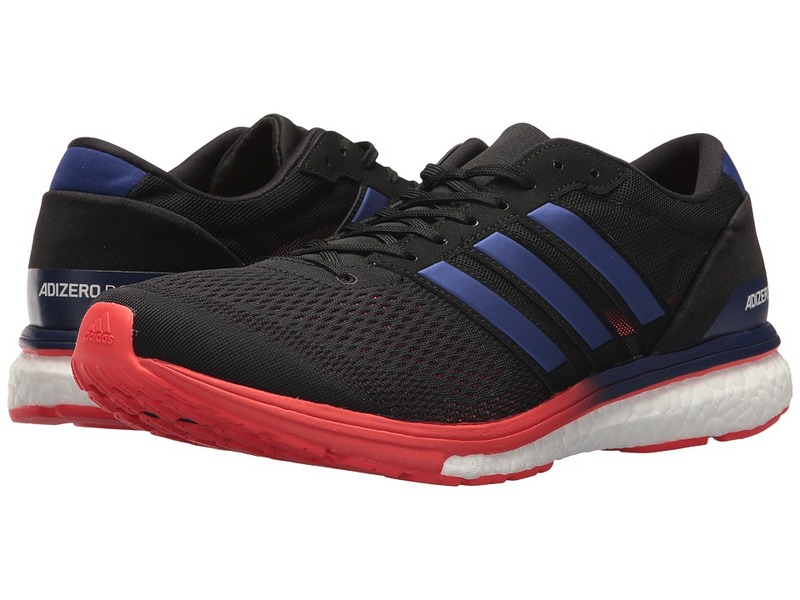 The adiZero Tempo 9 running shoe from adidas addresses the need for speed. Predecessor: adiZero Tempo 8. Support Type: Neutral. Cushioning: High energizing cushioning. Surface: Road. Differential: 10mm. Breathable air mesh upper material with origami-inspired forefoot webbing. Lace-up adjustability. Lightly padded tongue and collar. Breathable textile linings. Removable cushioned insole. Dual-density boost cushioning on the medial side provides energized stability for a smooth, responsive ride. TORSION SYSTEM between the heel and forefoot for stability. Continental Rubber outsole for extraordinary traction in wet and dry conditions. STRETCHWEB rubber outsole flexes underfoot for an energized ride. Imported. Measurements: Weight: 9 oz Product measurements were taken using size 8, width D - Medium. Please note that measurements may vary by size. Weight of footwear is based on a single item, not a pair. The more energy you deliver, the more energy the adiZero Boston 6 running shoe gives back. Predecessor: adiZero Boston 5. Support Type: Neutral. Cushioning: High energizing cushioning. Surface: Road. Differential: 10mm. Lightweight mesh upper with targeted support. Lace-up adjustability. Lightly padded tongue and collar. Soft and supportive textile linings. Removable cushioned insole. Boost midsole releases energy from your touchdown to propel you forward. TORSION SYSTEM supplies adaptive mid-foot support. adiWEAR outsole delivers maximum durability in high-wear areas. Continental rubber outsole supplies reliable grip. Imported. Weight of footwear is based on a single item, not a pair. 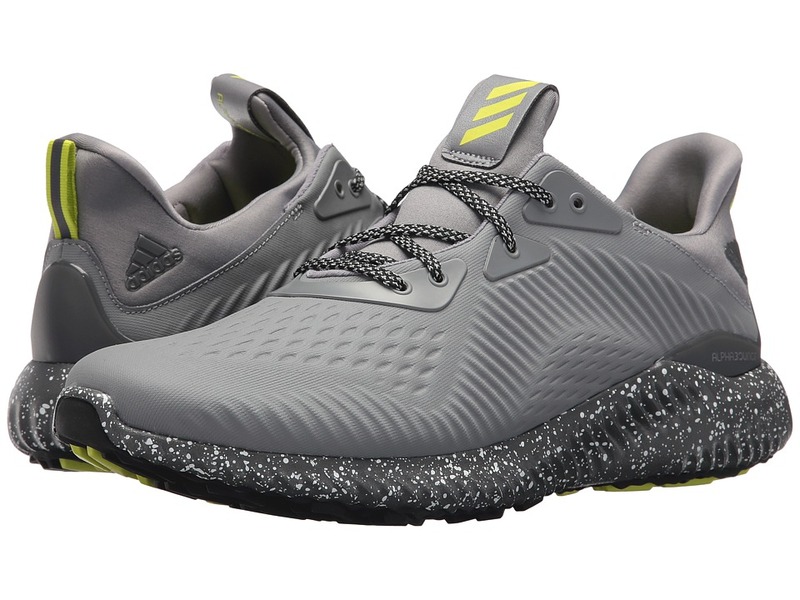 The Alphabounce CK running shoes by adidas bring fresh energy to your running routine. Predecessor: None. Support Type: Neutral to underpronation (supination). Cushioning: Lightweight, flexible response. Surface: Road. Differential: 10mm. Seamless Forgedmesh upper designed with areas of support and stretch to help ensure a custom fit that adapts to every move. Lace-up closure. Heel pull loop. Bootie construction offers a sock-like fit for optimal comfort. Contoured, lightly padded tongue and collar. Smooth textile lining. Lightly padded textile footbed. bounce energy-returning technology promotes light, fast rebound with each stride. Grippy rubber outsole. Imported. Measurements: Weight: 12.2 oz Product measurements were taken using size 9.5, width D - Medium. Please note that measurements may vary by size. Weight of footwear is based on a single item, not a pair. 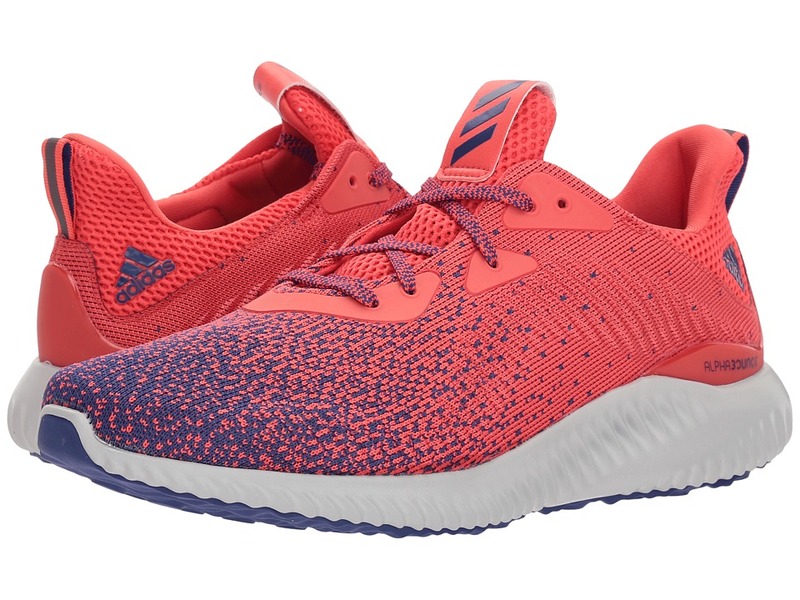 Give each workout more energy with the Alphabounce Beyond cross-training shoes from adidas. Predecessor: None. Support Type: Neutral to underpronation (supination). Cushioning: Lightweight, flexible response. Surface: Road, indoor. Differential: 10mm. Smooth, textured textile and synthetic upper materials. Lace-up closure. Heel pull loop. Bootie construction offers a sock-like fit for optimal comfort. Contoured, lightly padded tongue and collar. Smooth textile lining. Lightly padded textile footbed. bounce energy-returning technology promotes light, fast rebound with each stride. Grippy Continental rubber outsole. Imported. Measurements: Weight: 13 oz Product measurements were taken using size 10, width D - Medium. Please note that measurements may vary by size. Weight of footwear is based on a single item, not a pair.